Gaming has evolved from simple three-button shooters, through early home computer games that asked the player to imagine more than the platform was capable of, to today’s multi-million dollar simulations of heightened realities. Yet the gamer’s hunger for those simpler times remains strong. The wealth of gaming options available on smartphones and social media sites is testament to this. Personally, I find it ironic that when I was 10-years-old and playing the space “simulation” Elite on my BBC Micro, as much as I was captivated by the universe the game suggested, I wished those wire-frame spaceships that I encountered were controlled by other players. Yet now I play Elite’s 21st Century equivalent, EVE Online, alongside thousands of other players, I yearn for those simpler times when I could imagine what might be. EVE Online continues to challenge gaming boundaries, pushing forward with its peerless emergent social gameplay and potentially revolutionising cross-platform integration with its console shooter DUST514. Yet the developers CCP Games stand aloof from a potentially lucrative market which could provide a perfect entry point to their New Eden IP. Already on this platform are a host of third party applications which provide a wide range of tools for the EVE player. By accessing EVE’s publicly available in-game API data, players are able to monitor market prices, browse item databases, view battle statistics and much more. Talented coders have devised ship-fitting tools, character development planners and email clients. 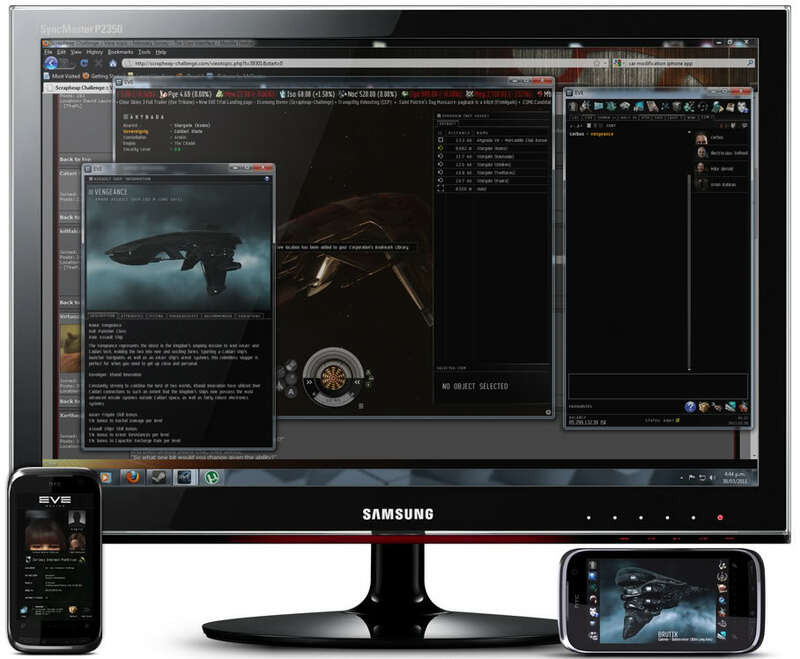 These are fantastic tools, but they are only of use to existing EVE Online subscribers. The smartphone and browser platforms are ripe for an alternative delivery of the EVE intellectual property which would allow the casual gamer to enjoy the universe of New Eden without the need for the full EVE client. Last year I wrote about my concept for Free-to-Play EVE Online which could work alongside the existing subscription model. 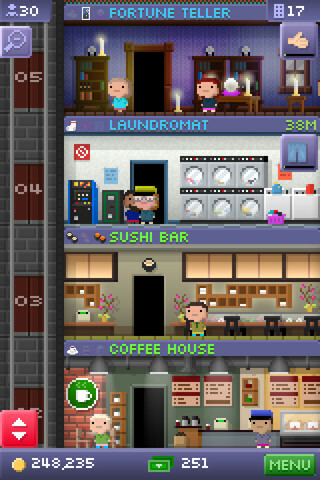 Around the same time, I was fighting an addiction to Tiny Tower on my iPhone. This was a simple game which allowed the user to manage a tower block, rent out apartments and employ the residents in the various businesses that could be built on each floor. It reminded me of old games like Little Computer People and SimCity. But like most video games, I’m sure the concept would work better on a spaceship. Imagine, if you will, that you’ve just downloaded CCP’s new smartphone title New Eden Explorer. 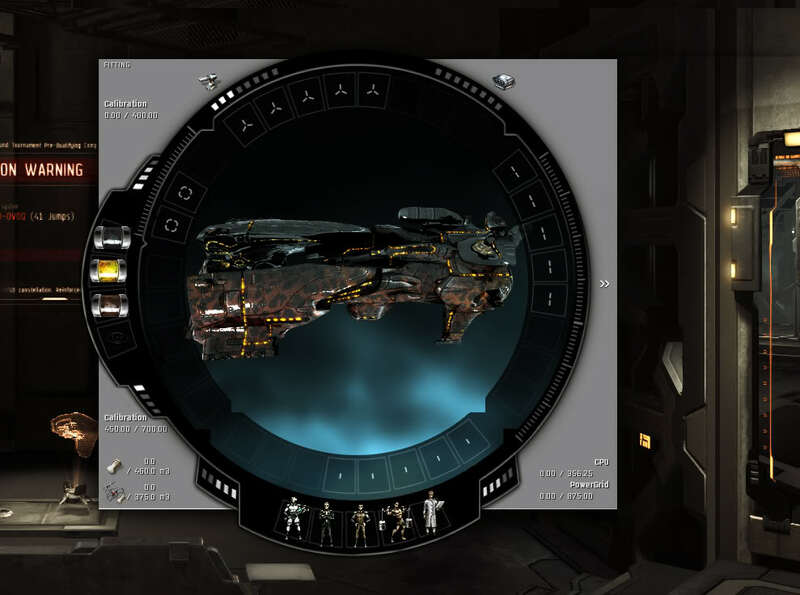 Rather than try to be a trimmed-down version of EVE, it approaches gameplay from the opposite direction whilst providing many of the tools found in existing EVE apps. It’s a single-player turn-based exploration, trading and combat game in which you aren’t an immortal capsuleer with access to WMDs and the buying power of a nation. You are a normal, mortal denizen of New Eden. You are also the captain of an old, beaten-up frigate. Not a fancy capsuleer one, just a rusty old bucket that was built out of salvaged parts from some warzone. You are New Eden’s answer to Han Solo, Mal Reynolds, John Rourke or Zaphod Beeblebrox (yes, I realise John Rourke is actually New Eden’s answer to John Rourke). You need to make money, you need to fix up your ship (and maybe one day get a better one) and you want to explore the universe. But first you need a crew. Every station has a recruitment centre, but the pickings can often be slim – or expensive. Just to get your bucket of bolts out of the hangar you’ll need to hire a skeleton command crew; maybe a navigator, and engineer and weapons officer and a few crewmen. After that, maybe you can make your fortune across the spacelanes and build a better life for yourself, either through trade, exploration or maybe piracy. Do well enough and maybe you can hire a navigator who can fly straight or an engineer who can squeeze a bit more performance out of your vessel. Replacement officers and crew would be available at most stations, but more skilled individuals would be harder to come by. The best missile specialists might only be recruitable from dangerous Mordu’s Legion systems and skilled navigation officers might be found deep within volatile factional Warfare territory. Crewmen would be necessary too, playing a role in the normal performance of the ship. They would be assigned to officers as a means of resource distribution. If the command crew don’t look after them, they may die in combat (should’ve hired a medical officer) or leave due to low morale (your Captain character needs better leadership skills). Experienced crew would be valuable to retain, providing increased performance bonuses. They might demand more pay too though. This game element could essentially work as a ship-fitting tool, adhering to the EVE ship-fitting principles. The initial rustbucket could well be a rookie ship or similar, but a successful captain might find himself upgrading to more prestigious hulls. Fittings would also have an impact on crew behaviour; poor defensive systems would have a negative impact on morale, using Amarr weapons systems might offend your Minmatar Weapons Officer. Additionally, modules would need to be maintained and fixed if damaged in combat. This would be the the remit of the Engineering Officer, who would be assigned crew to fulfil ship upkeep tasks. With the smartphone client designed to grab data the EVE Online database, it would be able to provide information for every station and system in New Eden, as well as market prices and item availability. 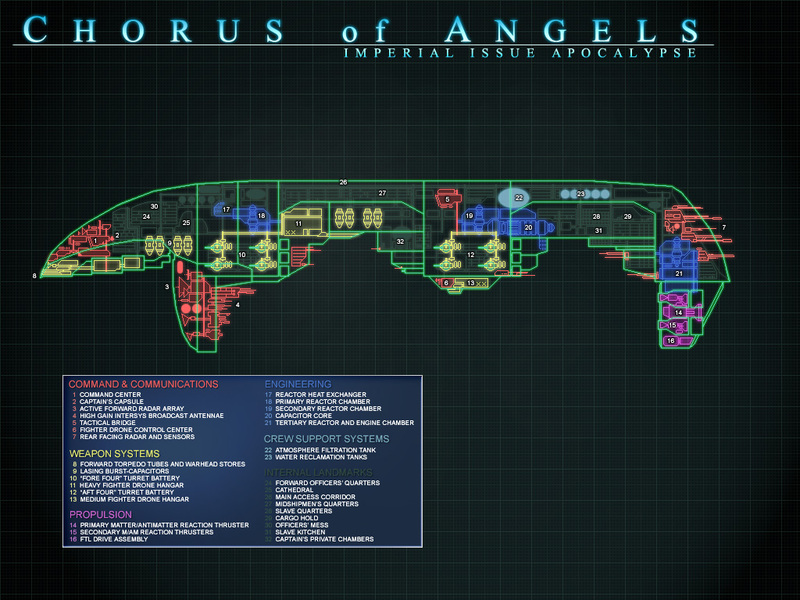 Essentially this would be a static data grab that could be performed at regular intervals, but would provide the content for the New Eden Explorer gameworld. Some data would clearly need to be generated explicitly for the smartphone client – available officers and crew at any given recruitment academy for example. But for the most part, all the world data is already out there being generated by the players of EVE Online. This provides a wealth of information that could be integrated into the game, allowing for missions, turn-based combat a storyline campaign and perhaps even a player-driven ship personnel market for that MMO-esque social contact element. Whilst New Eden Explorer would be a single-player experience and would not affect the “real” EVE Online gameworld, it would provide a window into the multiplayer world of EVE Online and could entice a whole new generation of players into the full game. N.B. I was inspired to dig out my F2P notes and write this post after reading tweets from @Rotosequence (Evelgrivion) and @PaulOosterman (CaldariPrimePonyClub). Paul has had similar thoughts which led him to make the fantastic concept art shown below and this ambitious post on Failheap Challenge. If this is something CCP categorically will not touch, then the effort of building something based around their IP could lead to problems. Alternatively, the EVE-related elements could be removed and I still believe an engaging game could be produced with the crew management elements and trade/exploration/combat gameplay. Although perhaps a bigger task, this would certainly give more creative scope to imagine an alternative universe to explore. I’d code it myself if I knew how, but I’d certainly like to be on the project team to provide creative design and written content if this is a concept that has any legs. This is another great game design idea, well done. I read your blog on F2P Command Crew options for casual players and I liked that a lot. I always felt like ships should have crew requirements and should be something capsuleers should buy in the market, with officers that could confer small bonuses, and crewmen that dictate how efficient the ship operates. The game mechanic would require a certain amount of crew to operate at full bonuses, and officers could be optional but confer better small bonuses and thus be pretty expensive. I originally thought it'd be interesting for the officers to actually passively level up, but your static bonuses works better and easier, I think. I also like the idea of spreading them out, making them racially centric, and having moods. They could even drop from wrecks, and be scooped (we'll just assume they have escape pods). 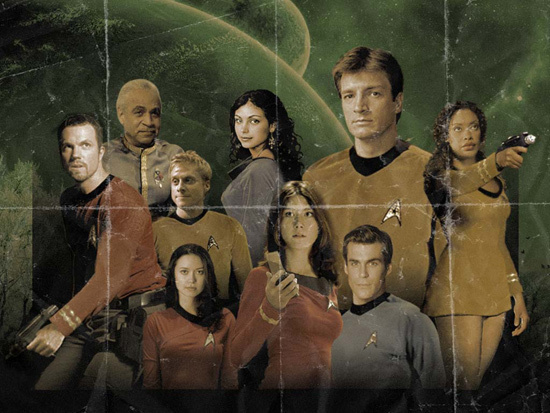 And, there would be faction officers and crew, and racial bonuses, etc. I keep scientists in my POS labs just because it makes sense and makes me laugh, and could see POS's included, as well. Thanks for the feedback Aldo. I'm loving the idea of "human salvage", it buys into the unseen lore very much and also has a very old-school pirate feel to it – "join us or die/be sold/be dropped off at the nearest port".